Two stream crossings on ephemeral, non-fish bearing tributaries to Woods Creek are part of a legacy road system. 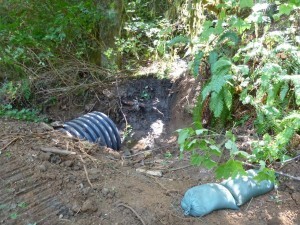 One culvert was severely undersized, at 10”. The second crossing was a legacy log culvert that no longer functioned. 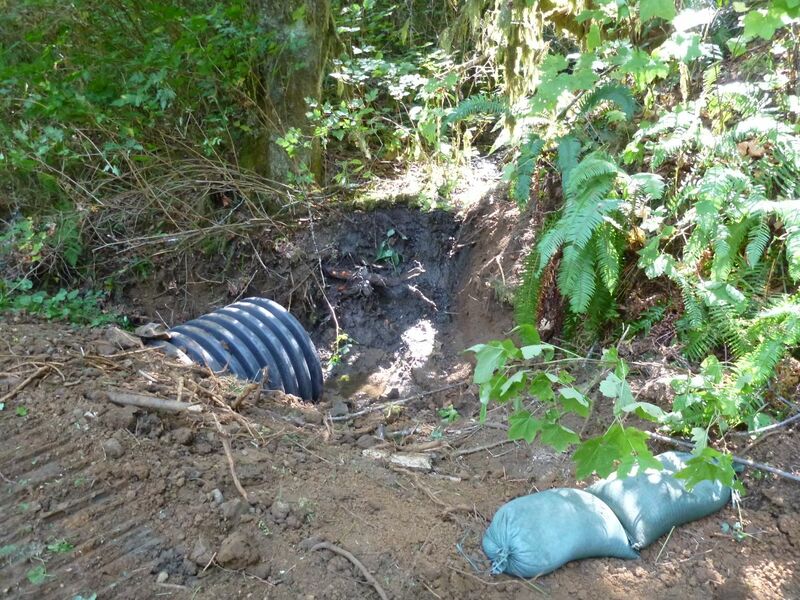 Both were located on steep slopes above Woods Creek and posed a potential for catastrophic failure that would impact water quality on Woods Creek with delivery of extensive sediment loads. the outlet spill of each pipe to protect from scour and erosion. The increased flow capacity will allow for free flow without continual plugging or overtopping. Low-level, chronic sediment releases during rain events will be eliminated, and the risk of catastrophic road failure and delivery of large volumes of sediment from these crossings to Woods Creek will be minimized. This project was supported 75 percent by Oregon Watershed Enhancement Board and 25% by the landowner, Mike & Molly Albrecht.